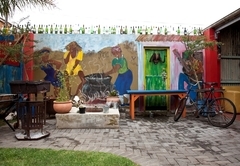 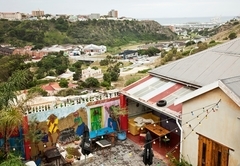 Madiba Bay Guesthouse is one of the South End guest houses and provides accommodation in 19 guest rooms for tourists visiting the Port Elizabeth region. 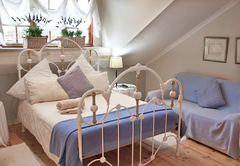 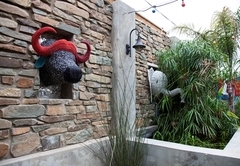 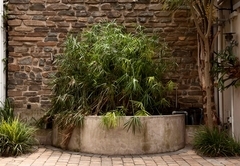 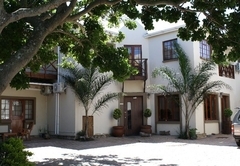 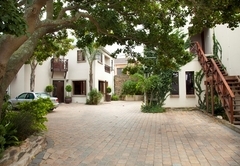 Madiba Bay Guesthouse is situated in the historic suburb of South End, Port Elizabeth. 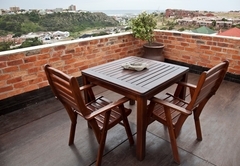 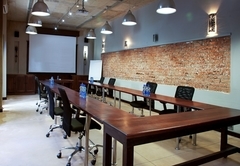 It is ideal for corporate travelers wanting to be close to the airport, main roads, beaches, The Boardwalk and CBD. 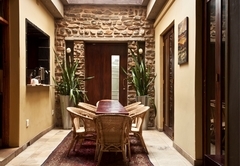 Elegance and simplicity is at the heart of our establishment, with a delegate mix between rustic African décor and minimalist modern styling. 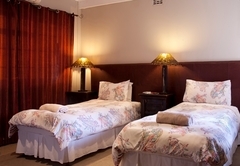 Our highly trained and professional staff will welcome you to a home away from home, ensuring a memorable stay. 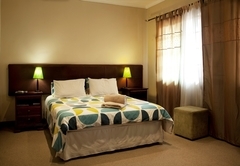 We offer spacious en-suite rooms with Six DStv channels, air-conditioning, coffee and tea facilities, Free WiFi, fridges (selected rooms) and microwave (selected rooms). 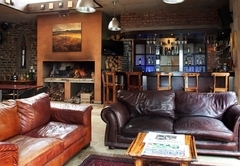 There is a choice of a Health Breakfast (cereals, yogurts and fruit salad) or a Full Breakfast (eggs, bacon, beef sausage, mushroom, tomato). 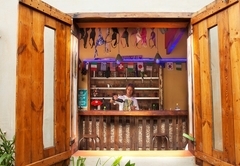 Filter coffee and juice is served. 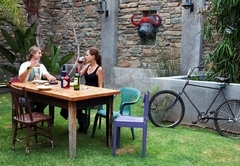 All meals are prepared by our resident chefs, with experience in various art of cuisine. 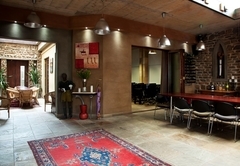 We cater for all appetites and dietary requirements, ranging from African-Style cuisine to Halaal dishes. 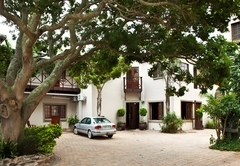 Breakfast, lunches and dinners are served at Madiba Bay Guesthouse. 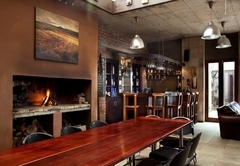 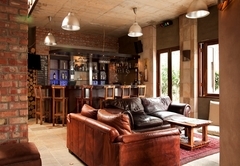 Join us at our in-house bar or famous “shebeen”, where one can mingle, unwind or network with other guests’. 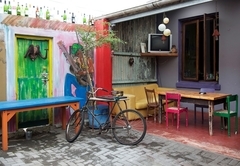 At our establishment you find that we are extremely diverse in our ability to comply with the specific needs of our guest. 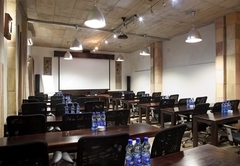 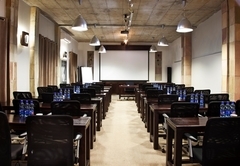 We pride ourselves in being specialist in banqueting and conferencing, with two conferencing facilities (60 seater room and a 30 seater room), being able to house large and smaller groups. 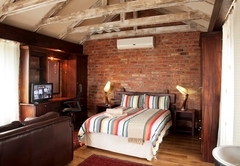 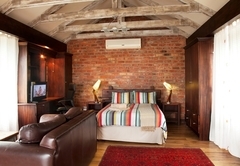 Standard Double Bed, En-suite bathroom, TV with DSTV, tea/coffee facilities and free Wi-Fi. 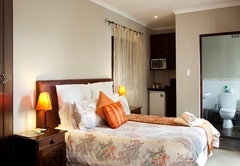 We offer spacious en-suite rooms with Six DStv channels, air-conditioning, coffee and tea facilities, Free WiFi, fridges (selected rooms) and microwave (selected rooms). 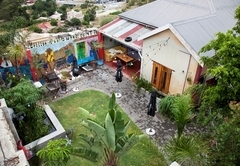 Response timeMadiba Bay Guesthouse typically responds to requests in 5-10 minutes.